Huawei Nova 2i will be updated to Oreo soon! Home / huawei / mobile / news / Huawei Nova 2i will be updated to Oreo soon! Great news! Huawei Mobile Philippines just confirmed that the highly popular Nova 2i will be updated to Oreo, the latest version of Android. 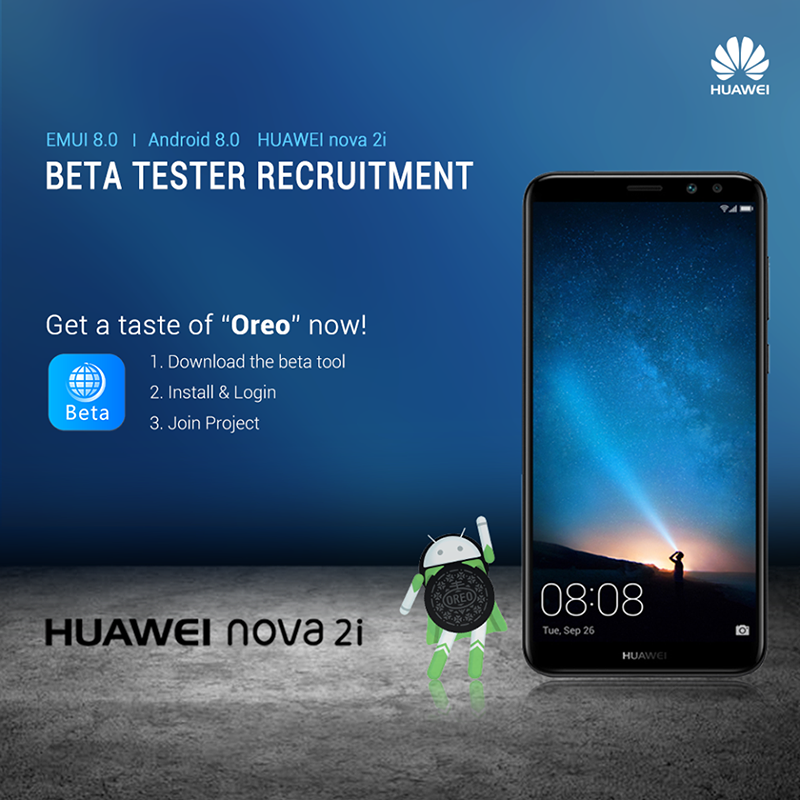 According to Huawei's Facebook announcement, the reliable Chinese electronics giant has heard Nova 2i user's request for an Android Oreo update. In addition, the company announced that the beta testing for the Nova 2i will run very soon. Interested Nova 2i users may get the Oreo beta update from March 7 to March 21, 2018. All they need to do is follow the 3 easy steps in this link: http://bit.ly/Nova2iBetaTest. Note: This beta version of Oreo might reduce the performance of your device, or some features will not be available or be limited. Please back up your data before receiving and installing. Anyway, aside from the latest features of the Oreo OS and EMUI 8.0 skin, we can expect the Nova 2i to be faster, safer, and better in overall performance than ever.